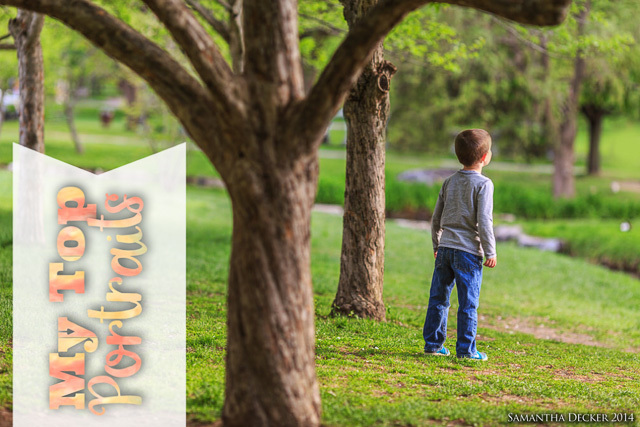 Although I don't primarily consider myself a portrait photographer, I've taken a lot of portraits over the years. In this post I'll share my top ones. I've also taken a lot of self-portraits, and you can have a look at those here. 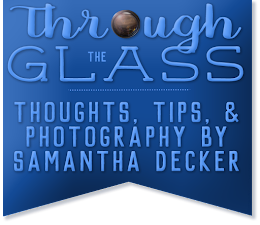 Stay tuned for a future post on pet portraits. 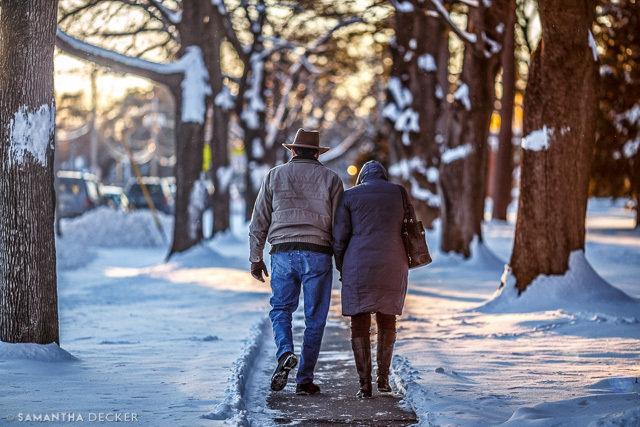 I captured this photo of a couple heading out of church shortly after I had purchased my first full-frame camera. 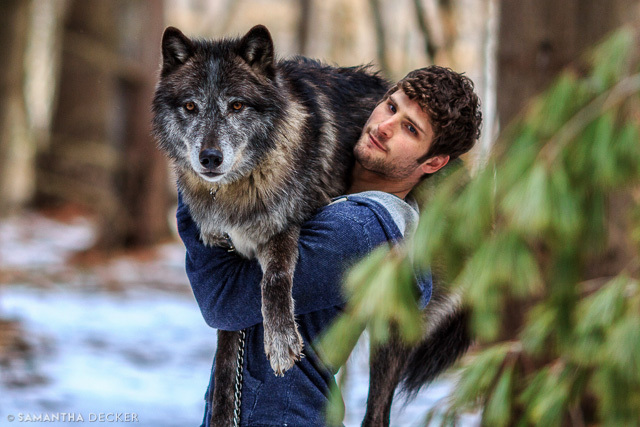 Zeebie is a wolf at the Adirondack Wildlife Refuge and Rehabilitation Center in Wilmington, NY. I had a really great experience there with my photography club. We went on a walk in the woods with the wolves and learned about their habits how they interact with each other and with other animals. The owners were great. About a year ago, I went back for a second time. 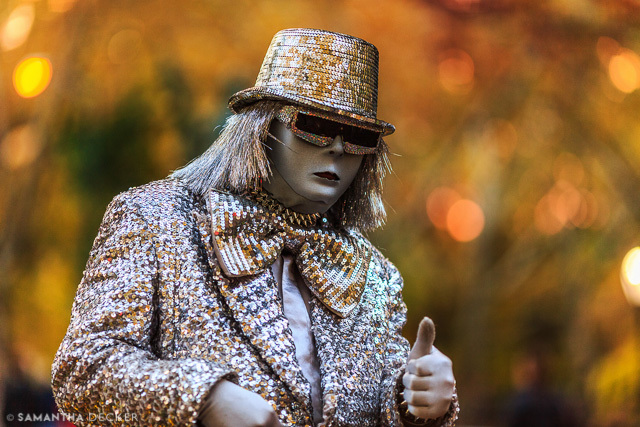 The fall colors looked beautiful behind this street performer. 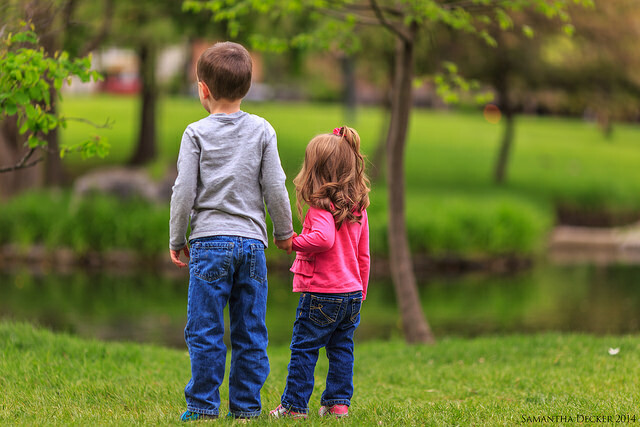 I took this photo of my colleagues kids on a spring afternoon in Saratoga's Congress Park. The top image was from the same shoot. 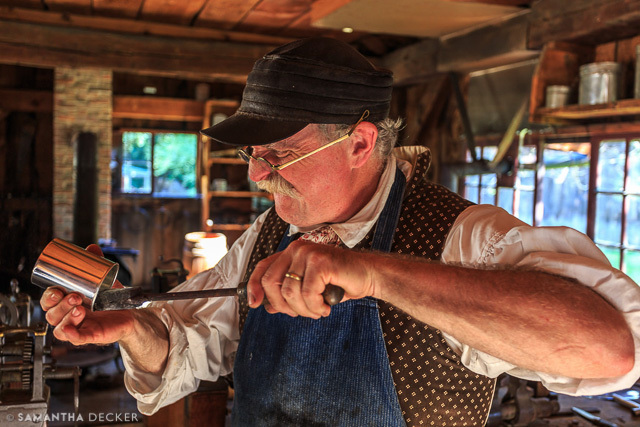 At Sturbridge, there are a number of presentations throughout the day where you can learn about daily life in the 1830s. I've always liked this particular portrait for some reason. 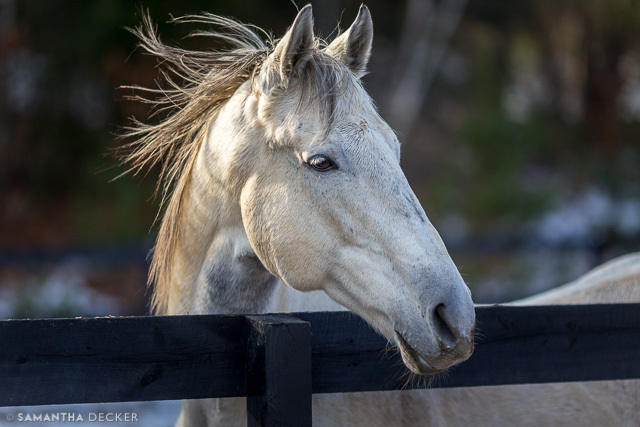 I have taken thousands of photos of horses and riders at the Saratoga Race Course, so I went that day with the hope of capturing some of the other sights to see there. 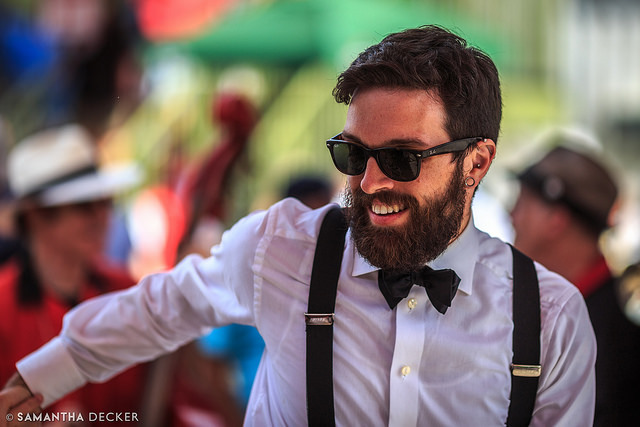 This portrait is of a dancer performing to the sounds of Reggie's Red Hot Feetwarmers. This photo was taken within minutes of the previous photo. 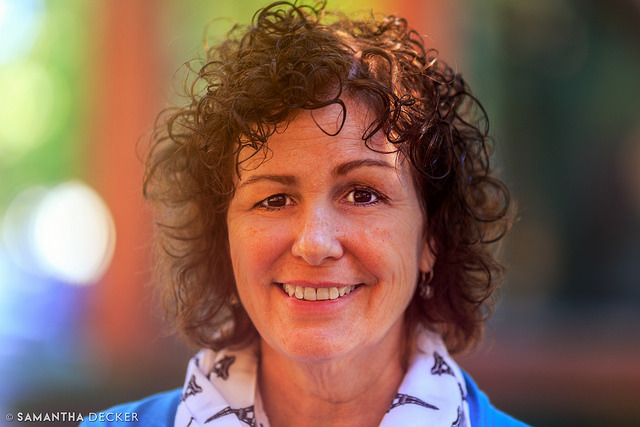 I loved the colors and the light in this portrait of my mom. 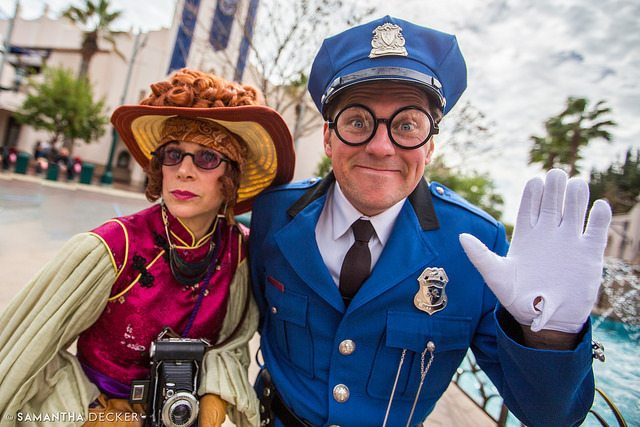 It's so much fun to interact with the citizens of Hollywood at Disney California Adventure! I had a nice chat with photographer Phi Phi Frances and Officer Calvin Blue, who allowed me to take their picture. 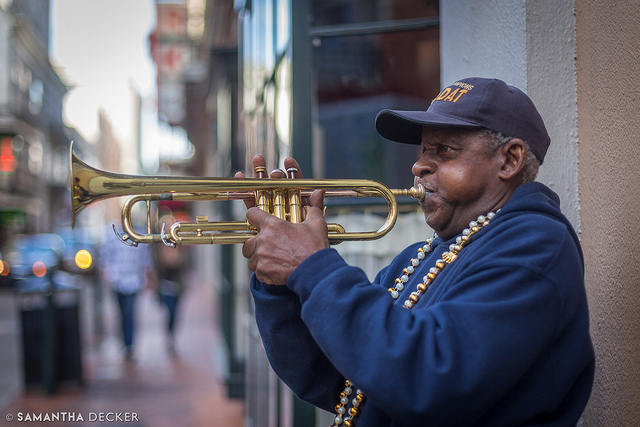 Buddy was kind enough to pose for a portrait while he played his trumpet for passersby in New Orleans. 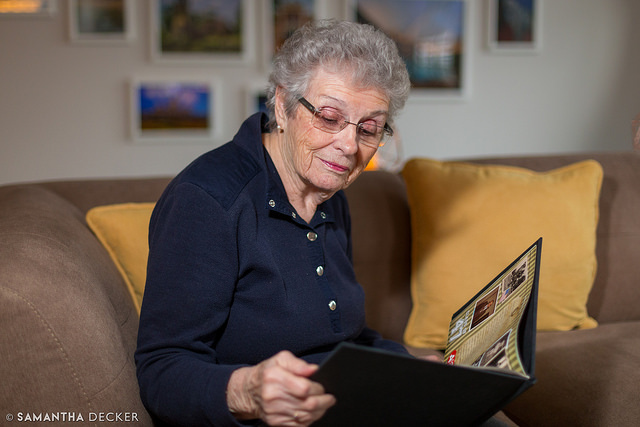 I just love this portrait of my grandmother reading the family history book I gave her for Christmas a few years ago. 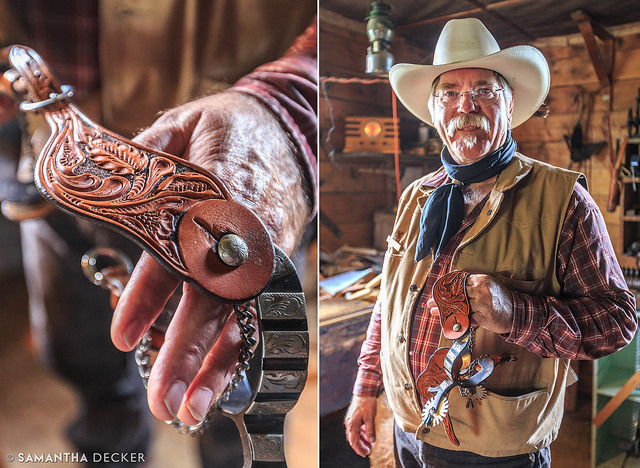 In this portrait, Bar U Ranch Saddle Repairman Lewis Pederson displays a spur strap he carved. 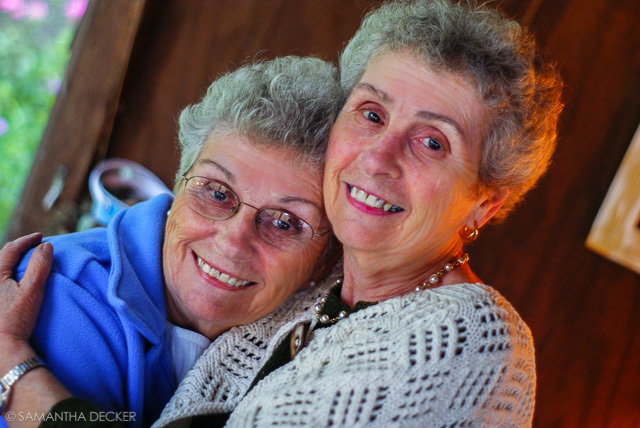 I love this portrait of my grandmother (left) and her identical triplet sister on their birthday. 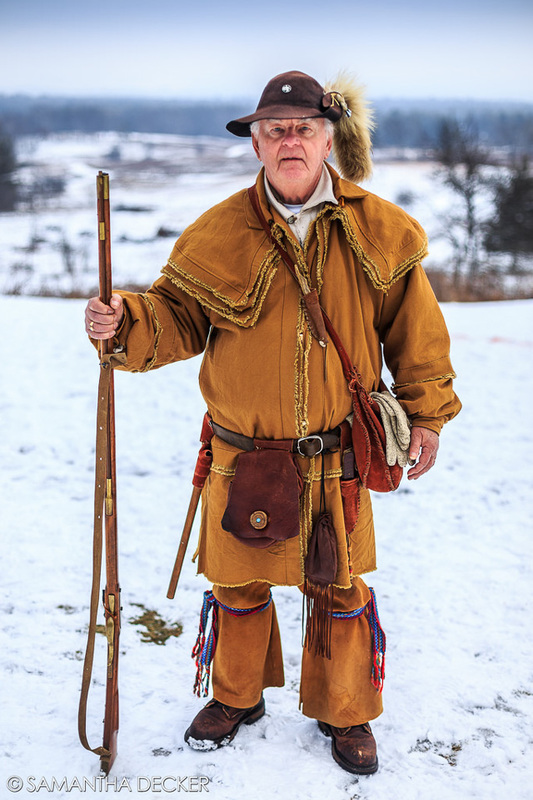 This man, whom I met during the Saratoga Battlefield's Frost Faire, represents a hunter-trapper who joined the militia to fight during the Revolutionary War. He was kind enough to pose for these pictures and tell me a bit about his position in the war. 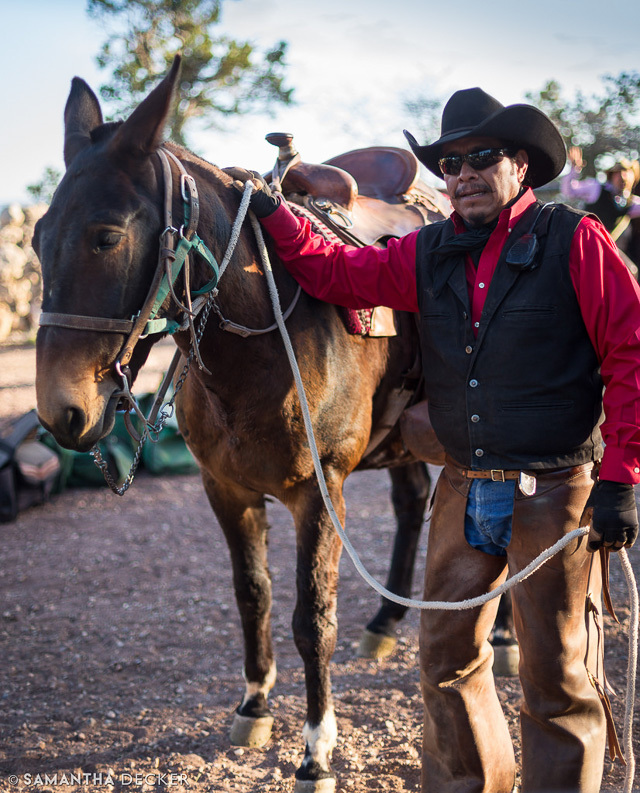 Simon, a wrangler, poses with one of the mules you can ride down the Bright Angel Trail at Grand Canyon National Park. I wasn't brave enough to ride one, but it's on my bucket list.